A student resolution under discussion by the University of Utah’s student government argues that fossil-fuel-driven climate change results in 400,000 deaths globally every year. The resolution’s critics argue that billions are kept warm and fed because of fossil fuels. The resolution calls for the University of Utah, which is committed to sustainability, to divest itself from “the 200 companies with the largest proven reserves of fossil fuels” and to dump any stocks or “commingled funds that include fossil-fuel public equities” within five years. U student Max Stiefel and others started gathering signatures in support of proposing fossil-fuel divestment after a Dec. 5, 2012, rally at the university with climate activist Bill McKibben’s national 350.org movement, in which he encourages students to push their schools to divest their financial holdings in fossil-fuel companies. The students gathered 1,500 signatures in 2 1/2 months, joining 255 other campuses in the United States mounting divestment campaigns. 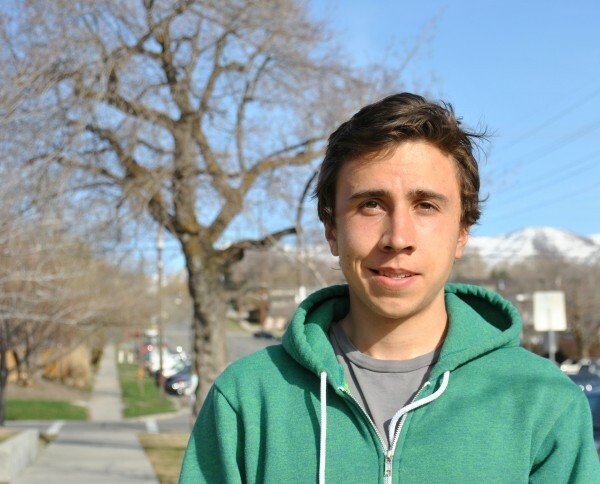 Stiefel, an Assembly representative from the College of Social & Behavioral Sciences, co-authored a resolution and proposed it to the Associated Students of the University of Utah’s (ASUU) Assembly and Senate. While the resolution passed the Assembly with a majority vote, it encountered resistance in the ASUU Senate. “It was personally upsetting for me and some of my constituents,” says Aaron Young, the senator for the College of Mines & Earth Sciences. fossil-fuel companies, as if what they are doing is inherently wrong.” He pointed to Stiefel’s characterization of the fight against fossil-fuel-extraction businesses as akin to historic struggles against apartheid or tobacco. “I realize they are saying all this just to instigate change, but that needs to come from the demand side, not the supply side,” Young says. Fourth-year undergraduate student Stiefel, who’s majoring in economics and environmental & sustainability studies, says the divestment movement aims nationally to “influence policy makers to enact sustainable legislation,” along with persuading fossil-fuel companies to beef up research and development into renewable energy. McKibben wrote in a recent Rolling Stone article that American universities nationwide have endowments worth $400 billion in total. Stiefel asked the U’s Investment Management Office for information about its holdings, but says he was essentially told that “the endowment profile is opaque and we can’t see what’s in it.” While they agreed to let him see the profile, he would be prohibited from revealing any information publicly. An endowment pool is the total value of an institution’s financial investments. A sizable proportion of the U’s endowment pool is made up of donations from “friends” and alumni of the university. The U’s endowment pool has climbed in value from $309 million in 2004 to $568 million in the second quarter of 2013, according to a U Investment Management Office update. The pool funds scholarships, research work, college and department facilities and community programs. Just under half of the U’s endowment assets are invested in stocks. The bill will go to a vote in the Senate on March 28. The national campaign has already achieved some traction, according to 350.org spokesman Jamie Henn. “Students have met with their board of trustees on over 20 campuses,” he says in an e-mail. Four schools, including Unity College in Maine and Sterling College in Vermont, have divested. Stiefel is optimistic his campaign has sufficient momentum to get the recommendation voted through. While it does not bind the university in any sense to divest, if the resolution passes, Stiefel plans to meet with the university’s President’s Sustainability Advisory Board and then the Investment Management Office to pursue the issue. “There’s no denying fossil fuels created the prosperity we enjoy in modern day, that they do support good activities, but at what cost?” he asks.